The MacDoctor: iPad & DropBox – The Perfect Couple. iPad & DropBox – The Perfect Couple. Whether you're eying up an iPad2 as your first foray into tablet computing, upgrading from iPad1, or simply looking to increase the productivity of your current device, one given is that at some stage you are going to want to transfer documents and files to and from your iPad. Apple and third party App developers offer several options in this regard: adding files to applications during an iTunes sync, local network WiFi syncing, Apple's MobileMe iDisk and other dedicated server solutions. But by far the most successful option is to use the DropBox service. A visit to their site will do a better job of describing the service than any attempt here, and what I really want to talk about are the tricks to get the most out of using Dropbox on your iPad. 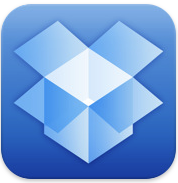 The first port of call is to install the DropBox App on your device. Once signed in you'll be able to access all your Dropbox stored files and have the facility to download and store files locally on your device. At the most basic level, you can view all manner of file formats from jpegs, tiffs, pdfs and pngs, to Word, Excel, PowerPoint, Pages, Keynote and Numbers documents. You can't edit or amend a document in the DropBox App, but you can send it to another App capable of handling and editing the file on your device. So far, so good. But the first drawback is that there is no way to directly upload or add files to your Dropbox using the DropBox App. Step forward GoodReader and DropDav. The first is an incredibly powerful App that I urge you install on your iPad on day one. I'm not even going to attempt to list its features and abilities, but simply say that it will allow you to connect to your DropBox to both download and upload files. It's capable of viewing and passing on as many, if not more, file formats than the Dropbox App itself. And the second is a fantastic service that allows Apps with no built in features to access your DropBox, to instead access those same files via the WebDAV protocol. Once setup, Apple's Pages, Keynote & Numbers Apps load and save to your DropBox with no problems at all. I think the final validation for the importance of connecting your a Dropbox account to your iPad is the sheer number of Apps that support or make a feature of DropBox sync. A few prime examples are PlainText, Audiotorium Notes, and Elements. We spend a lot of time, here at The MacDoctor, helping clients become more productive with the tools at the their disposal. Dropbox is a key ally in those efforts.